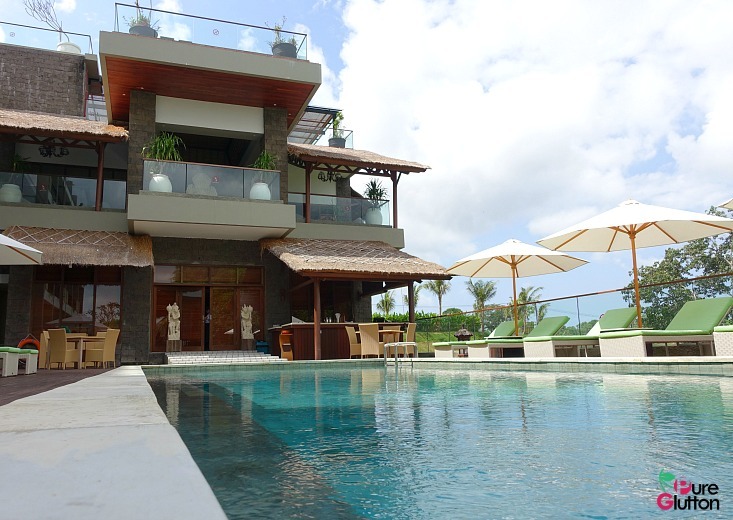 Bali is one place that one cannot stop re-visiting. 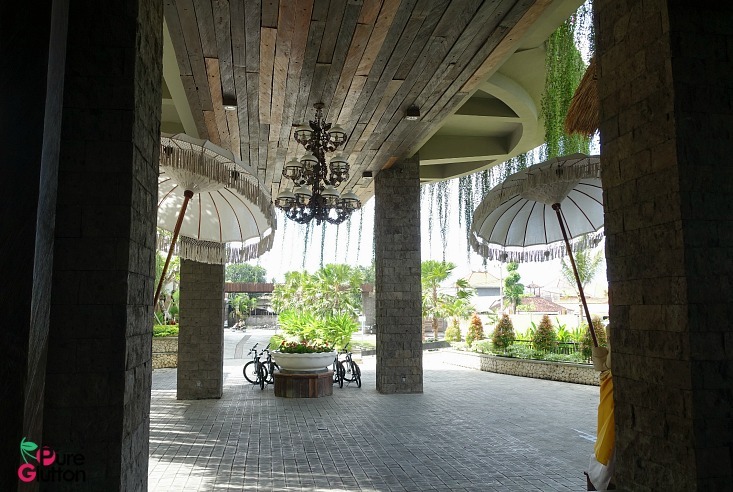 In my last trip a couple of years ago, I had briefly visited Ubud and was charmed by the place. 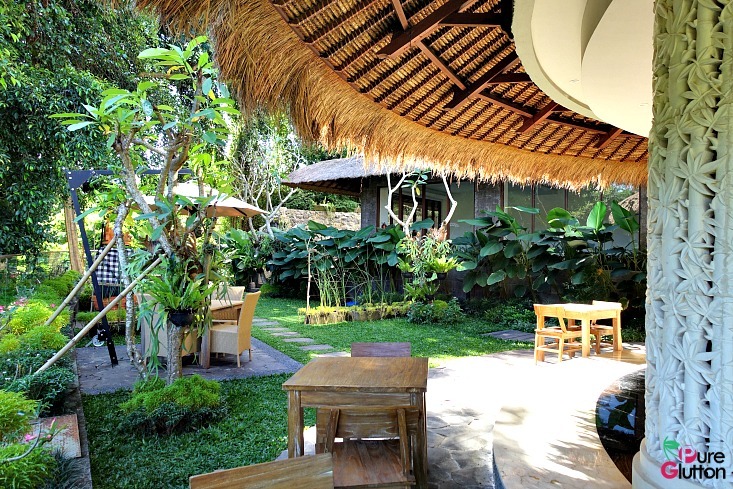 As depicted in “Eat, Pray & Love”, the rural rustic setting of Ubud with its terraced rice fields and traditional crafts created by her artistic people had left some memorable impressions in me. 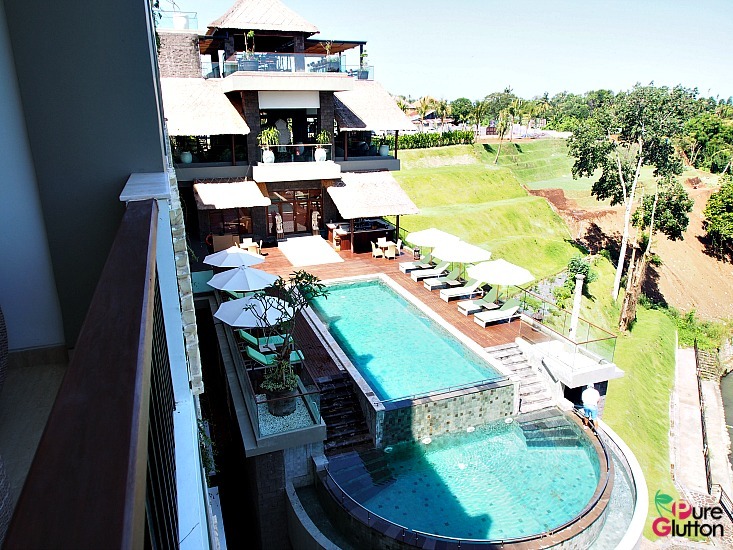 I decided then that my next visit to Bali, I’d head to Ubud. 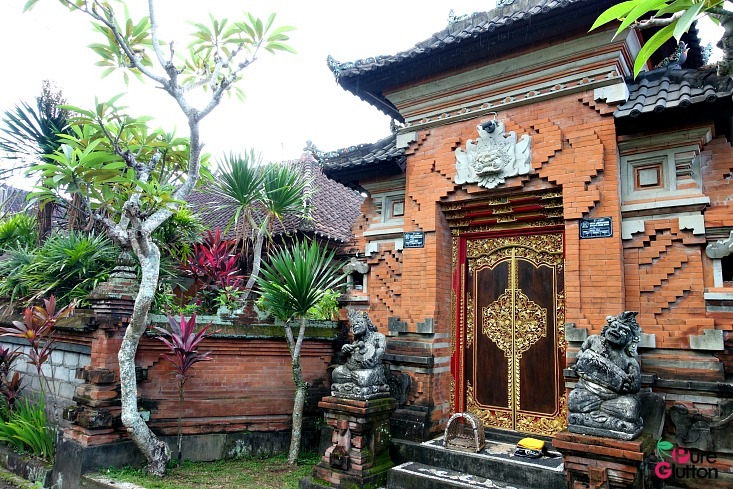 After all, it is considered the centre of art and culture in Bali. 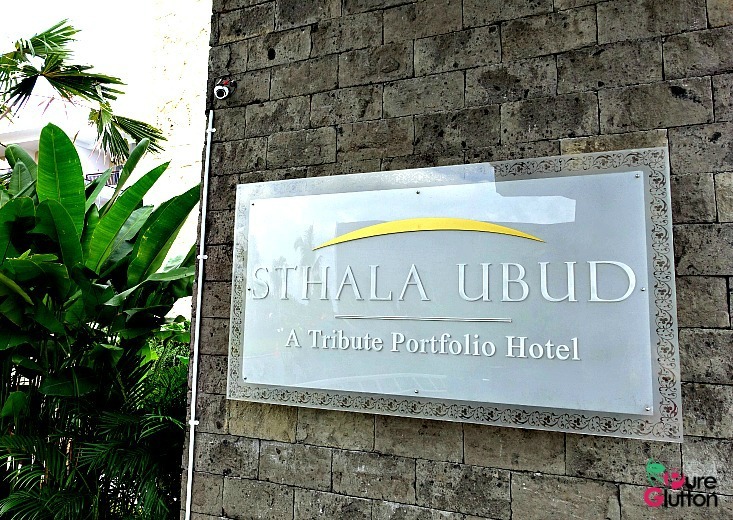 The chance to stay at the Sthala was another incentive to choose Ubud. 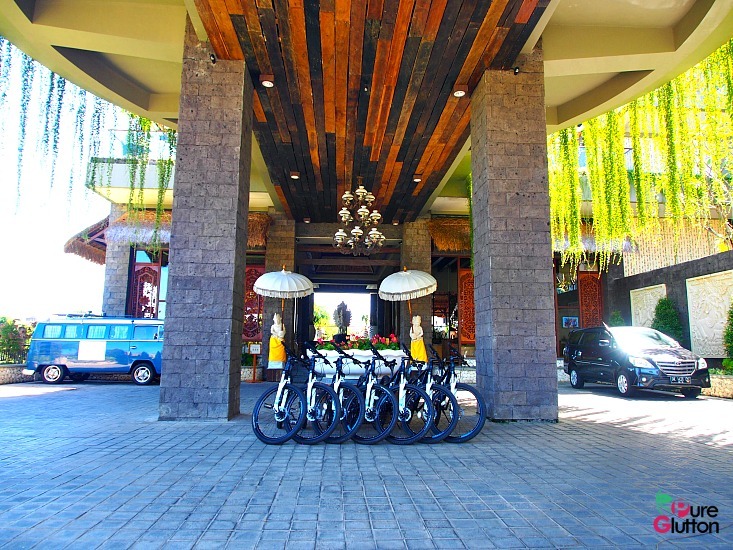 It’s a Tribute Portfolio Hotel by Marriott International and located just about 10 minutes away from Ubud Central. 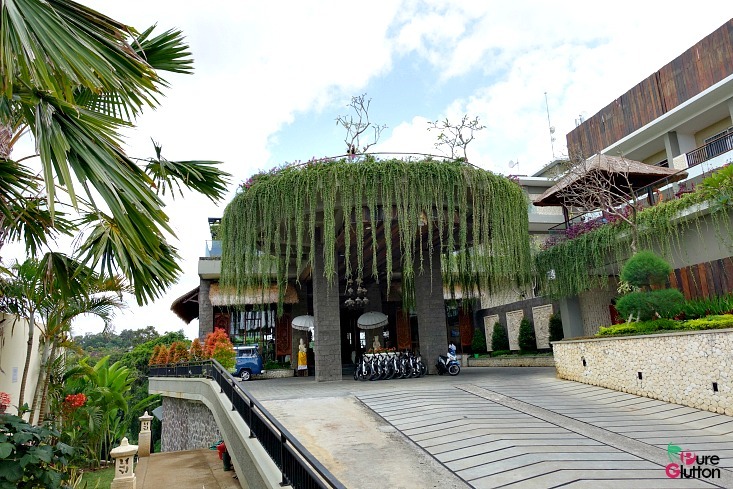 I like the fact that it’s located away from the crowds – the road leading to the resort is a long and winding one. We rounded a rather sharp corner and then, behold! 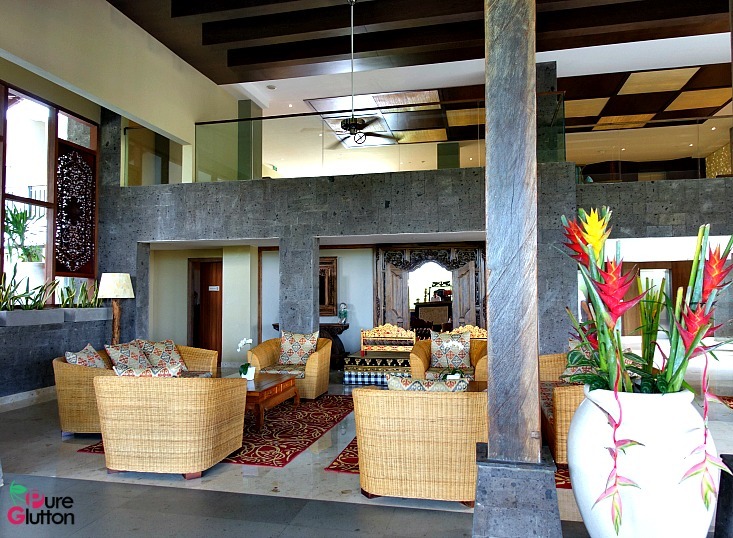 the resort loomed up at us, almost knocking off our breath with its beautiful entrance and facade. 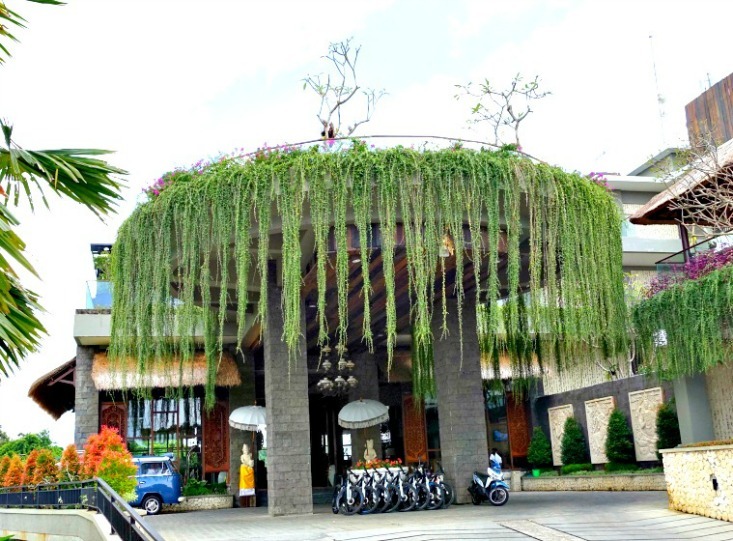 Lush greenery flanked the sides of the short driveway and before long we found ourselves dipping beneath the “tedung” (colour umbrellas) guarding the entrance to the foyer. 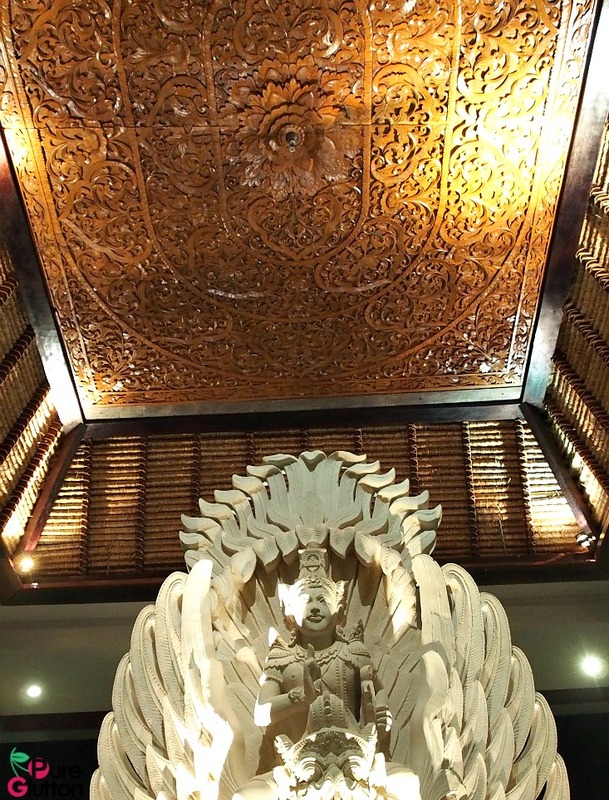 Intricately carved wood panels and decorations give the smallish reception area a warm and welcoming vibe – we were in love already! 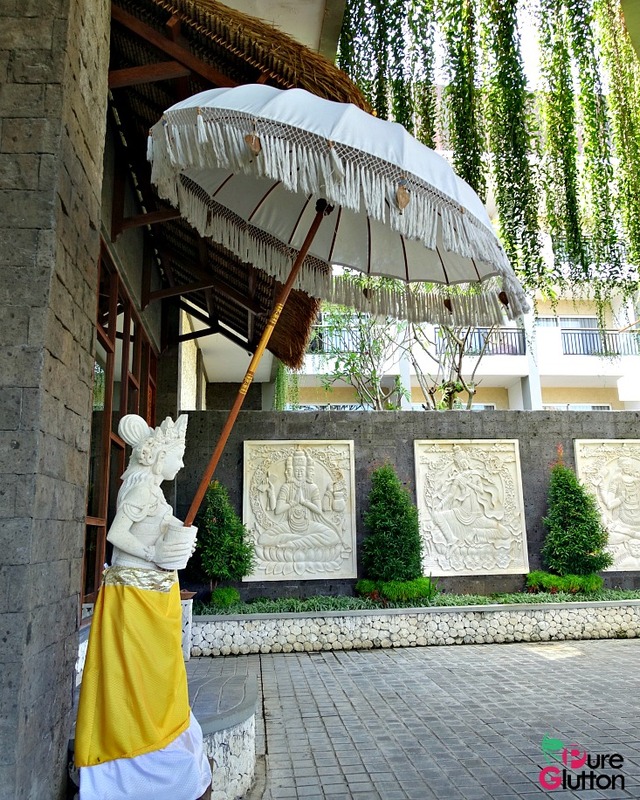 The Balinese people are such gifted artists and the beauty of the art pieces could only be surpassed by the genuine warm welcome from the staff. 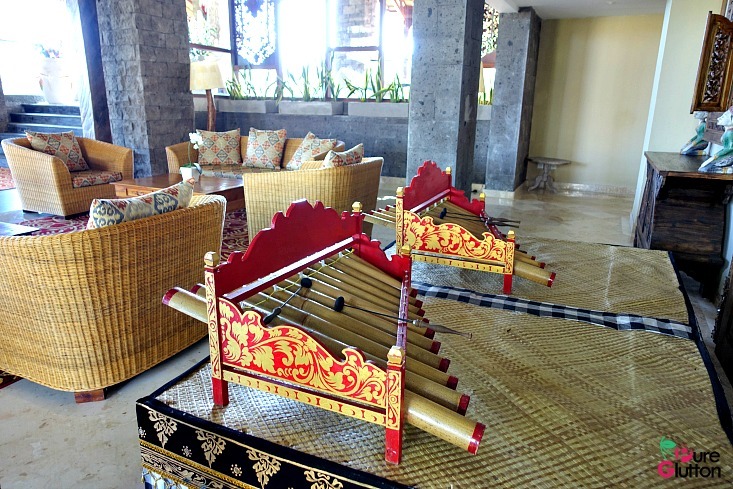 Opened in October last year, the resort’s 143 rooms are decorated with soothing timber panelling in beautiful natural colors with dashes of ethnic batik art on the bedding and walls. Just look at how intricate the artwork is! 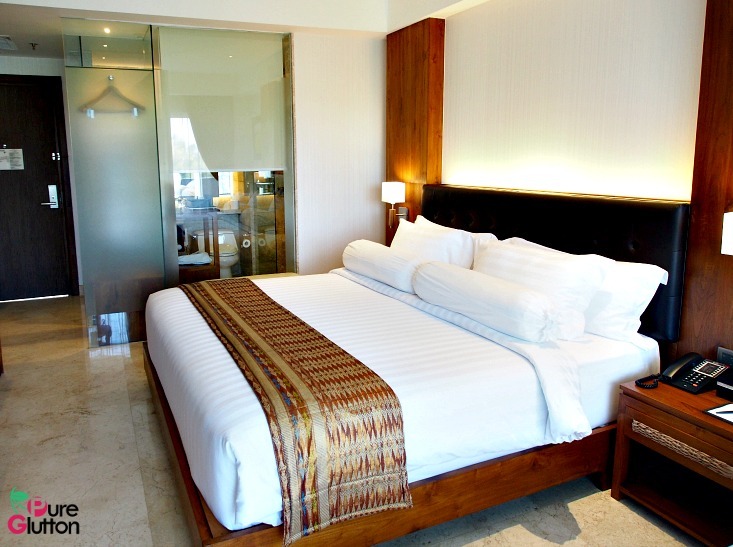 Our room was spacious and comfortable with a stunning river view. 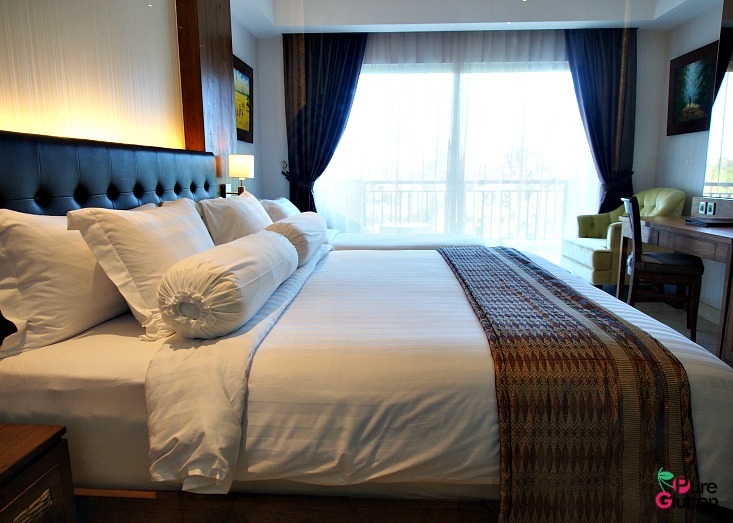 Complimentary wi-fi, mini bar, flat-screen tv, safe deposit box – it’s all very well equipped. 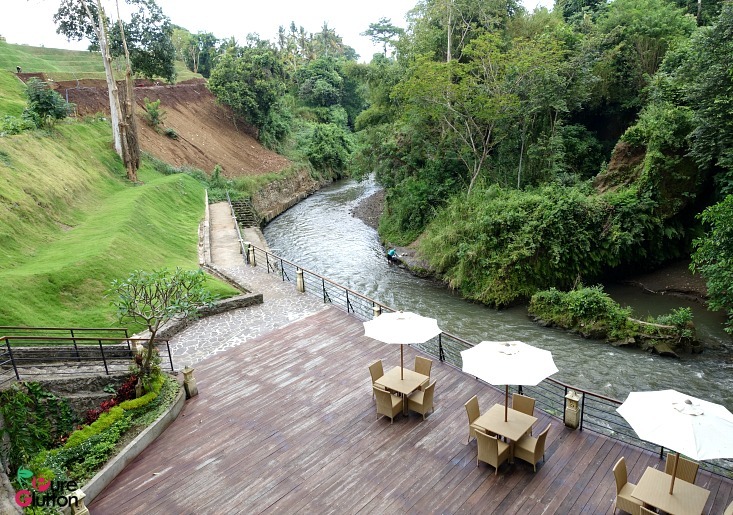 I love standing at the balcony and just breathe in Mother Nature’s lush surroundings – the tall mature trees surrounding the resort, the grassy slopes at the river bank and the gurgling river itself. 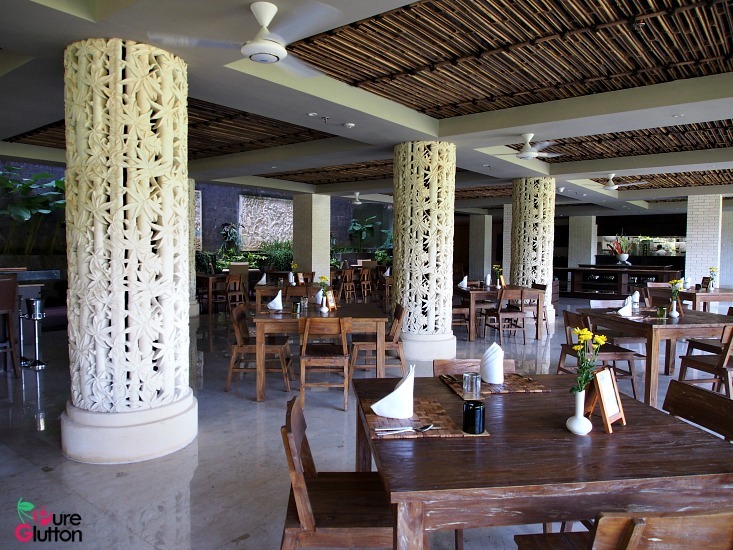 The main eatery at the resort is Sungai Restaurant which serves breakfast, lunch and dinner. 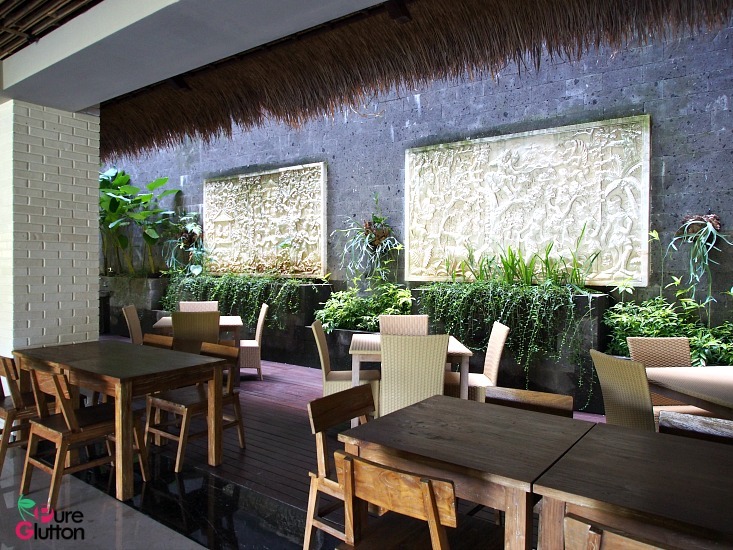 The menu offers Asian favourites with Balinese touches as well as western staples. 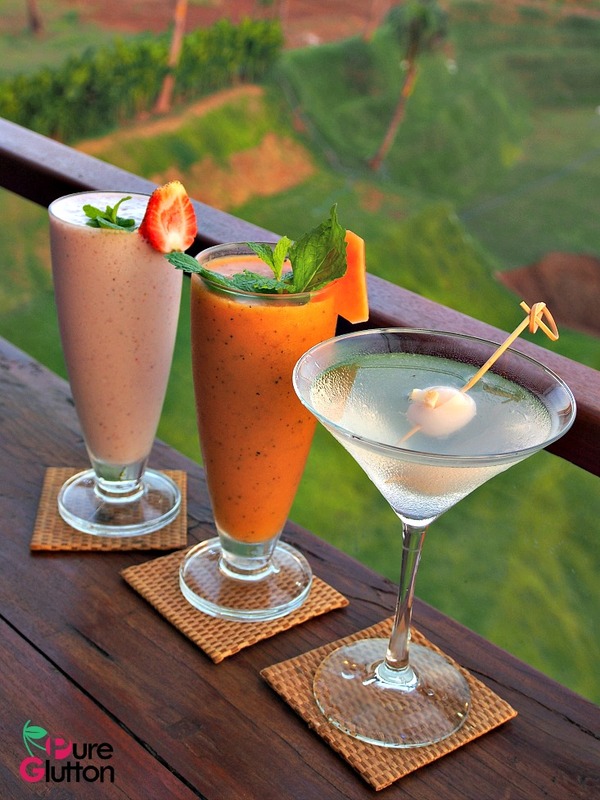 The Naga Rooftop Bar & Lounge is perfect to chill and relax at sundown when temperatures are cooler. 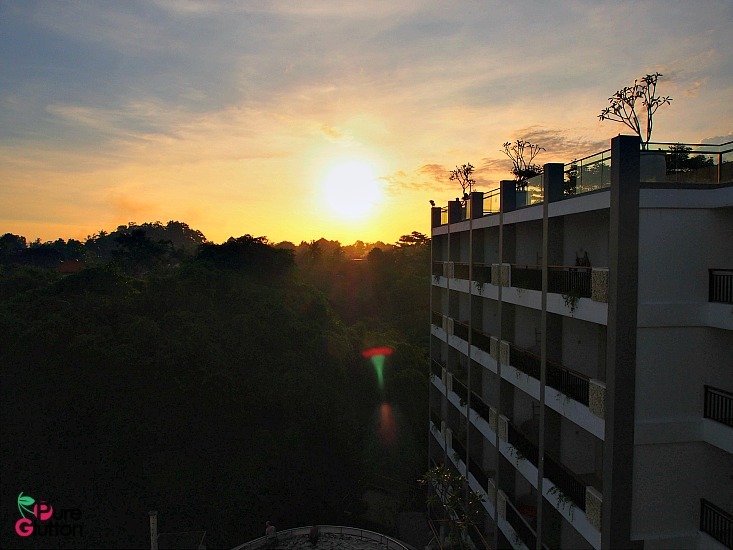 If the sky is clear, you can catch a spectacular sunset over the rooftops of houses in the surrounding area. More on the culinary offerings in a separate post. 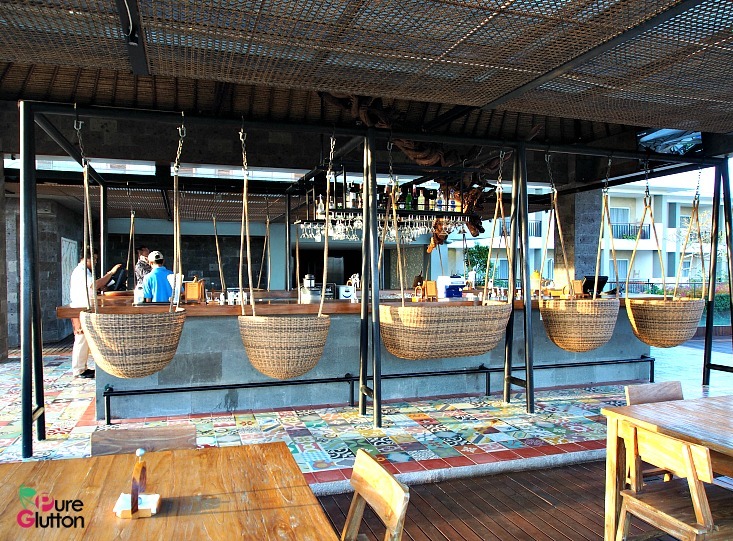 We absolutely loved the swinging basket seats at the Naga Rooftop Bar & Lounge! 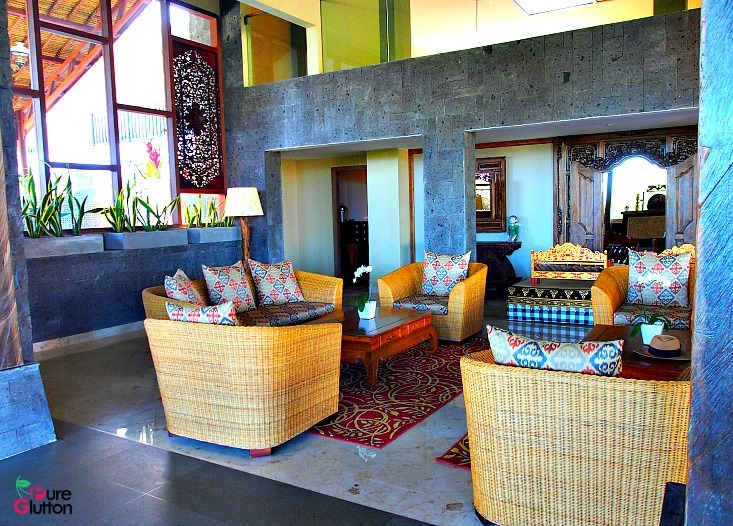 Despite its intimate setting, the Sthala does have function hall and rooms to host private functions. 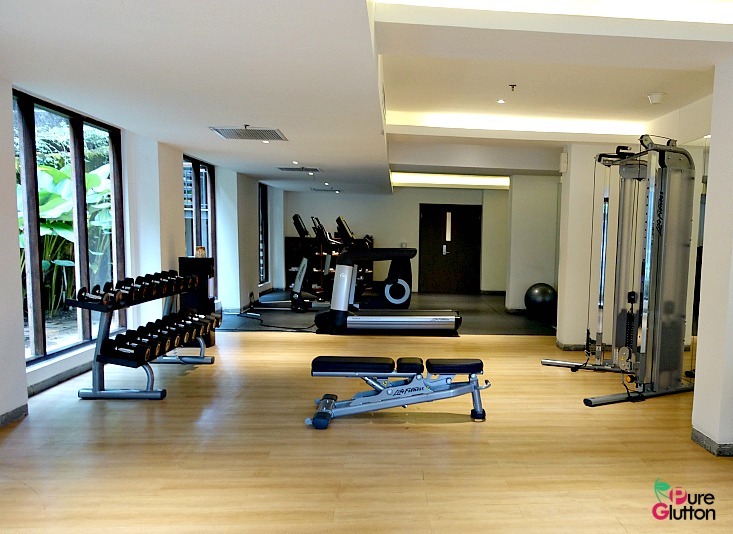 There are two swimming pools, a gym and even bicycles for guests to cycle around the area. So what is there to do in and around the Sthala? Well, the hotel does arrange some interesting stuff for the guests. 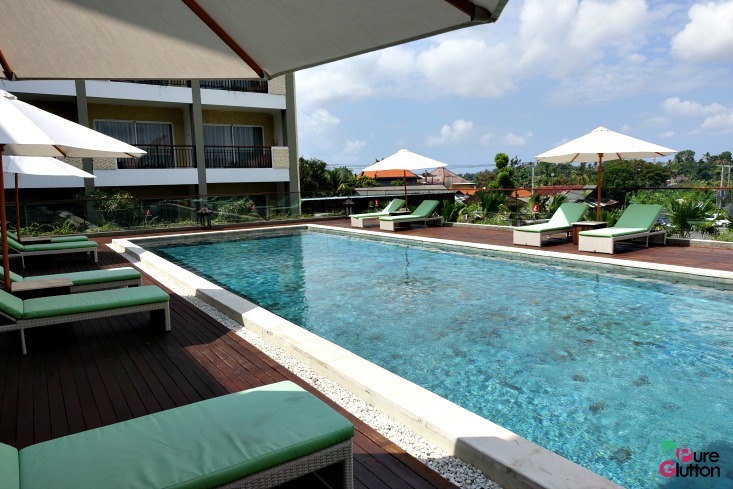 Besides swimming, gymming and cycling, how about some aqua aerobics and yoga by the river? 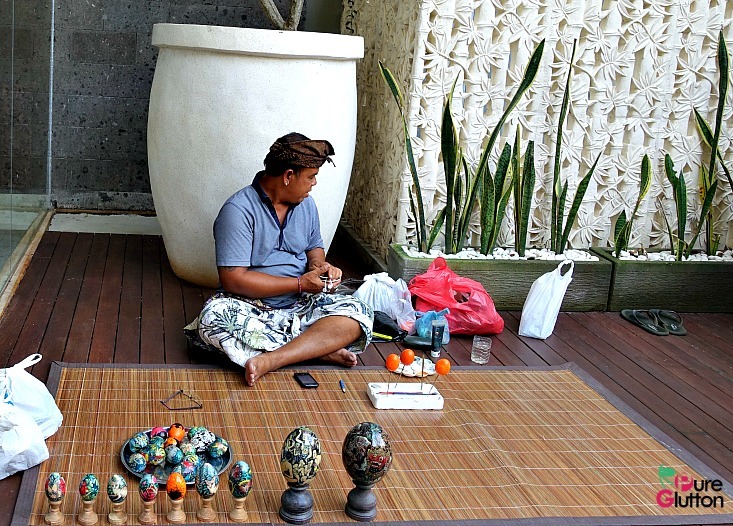 There’s even a resident egg painter to show/teach guests the craft! 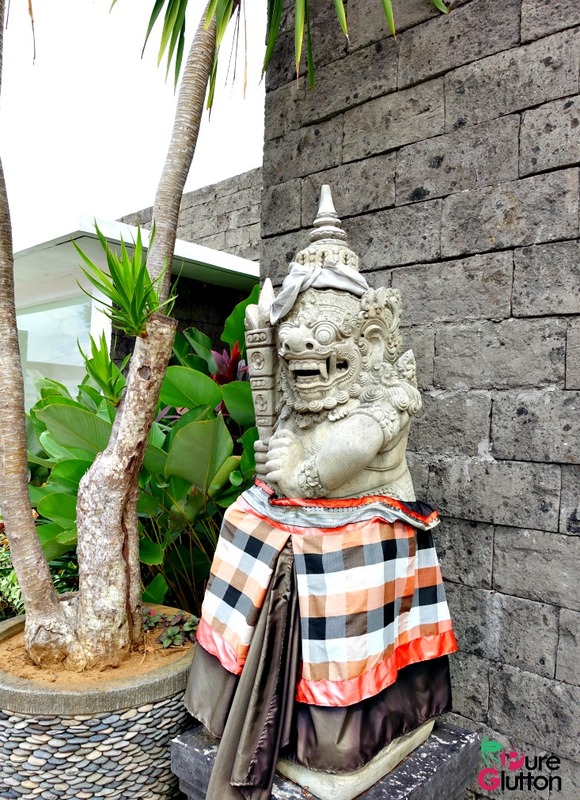 What we enjoyed most was the very interesting walk through a village and rice fields nearby, led by a hotel staff. 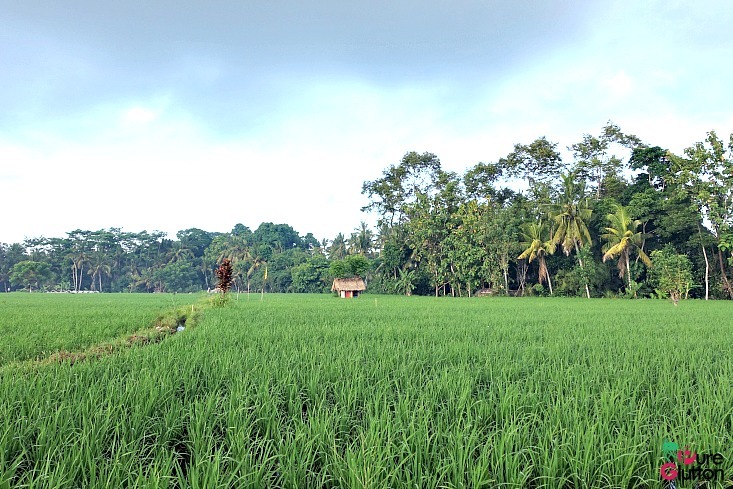 We visited a Balinese home and walked through farms and rice fields and got some very educational insights of Balinese life in the process! Don’t miss this. 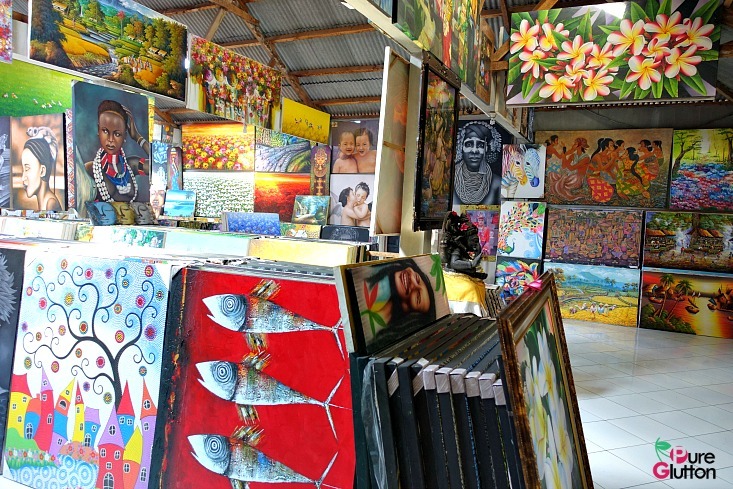 On the way back from the walk, go visit some of the art studios and galleries that dot the long and winding road near the hotel. Don’t forget to bargain but offer fair prices. 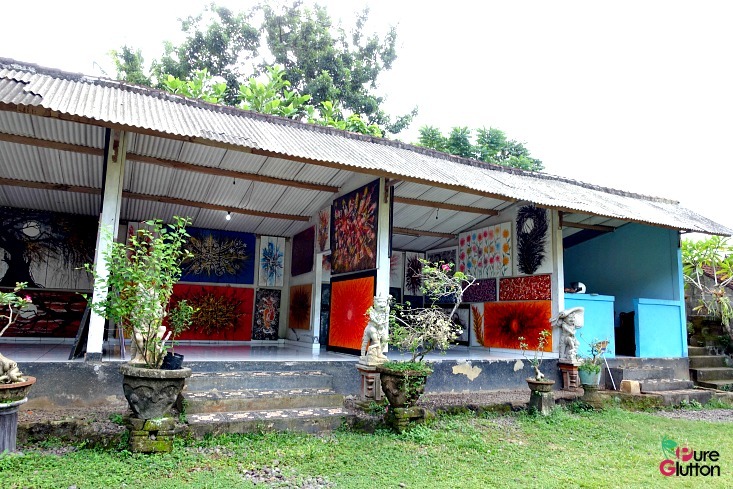 We bought 2 sets of paintings for only IDR1 million! 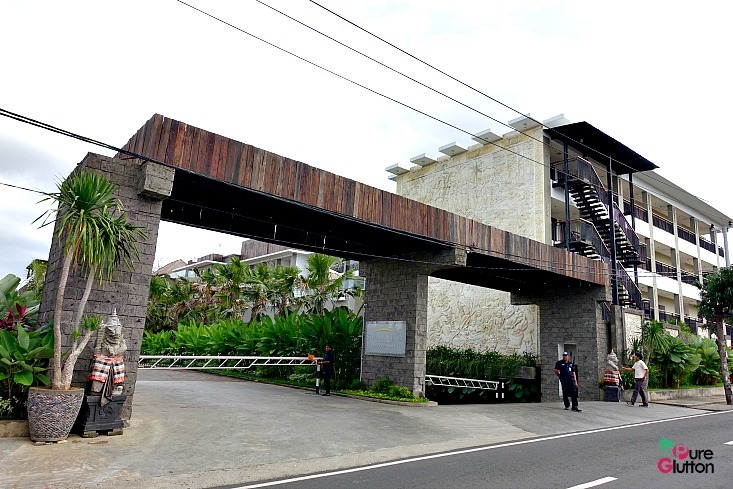 There are many art studios in the vicinity of the hotel! 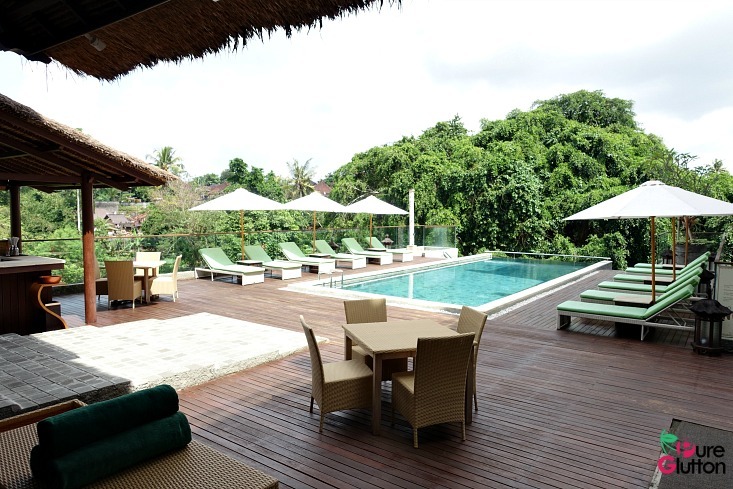 Staying at the Sthala gave us a very relaxing respite. 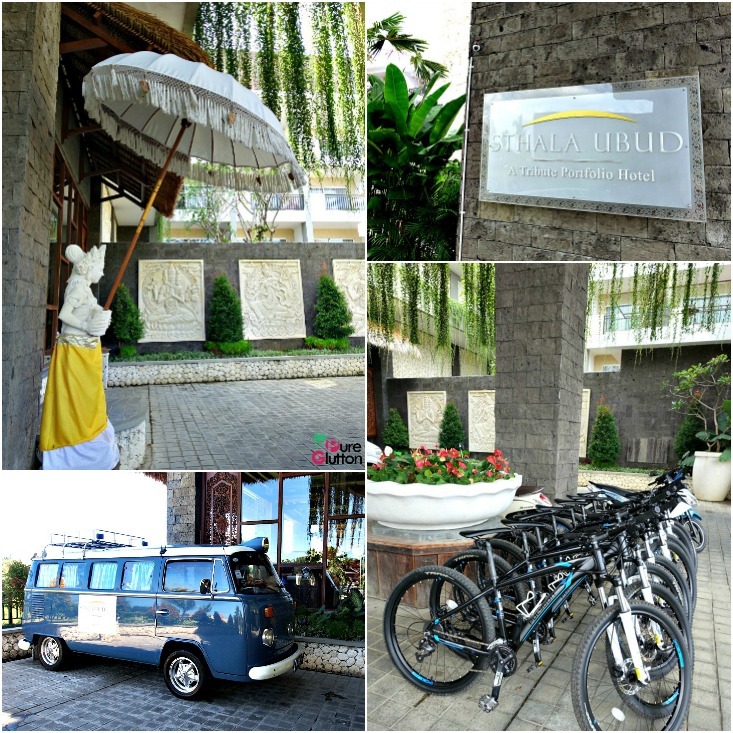 It’s got something to do with the fresh crisp mountain air, the clear river and the warm friendly staff. Everywhere we went, they were always smiling and ever ready to help with the slightest thing. 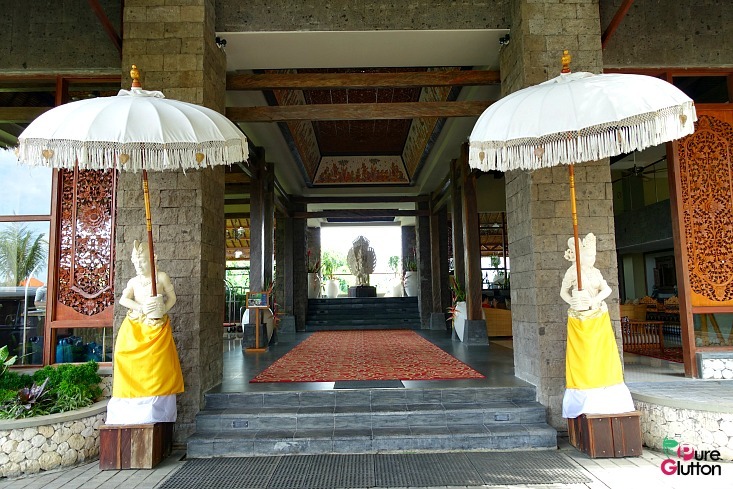 Their service and hospitality was really evident when DL realised he had left his golf cap in the hotel when we were already in Nusa Dua. I contacted the hotel and guess what? 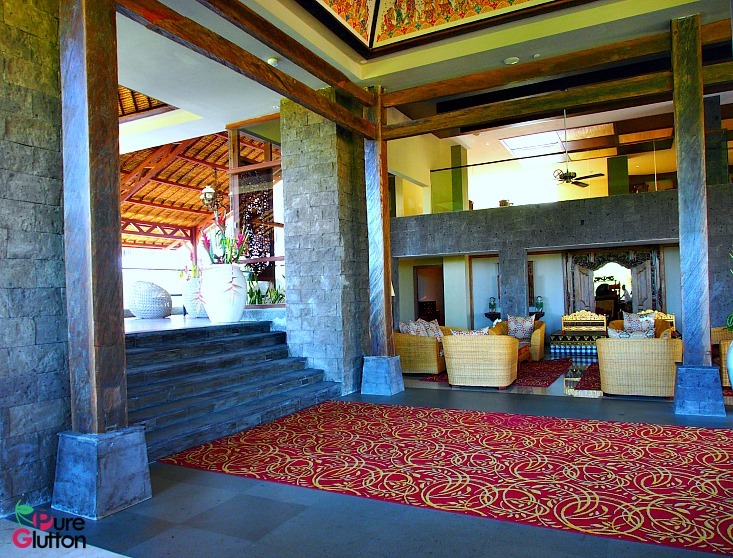 They found the cap and one of them delivered it right to our hotel in Nusa Dua that very evening! That’s real service for you – and we’ll never forget that. 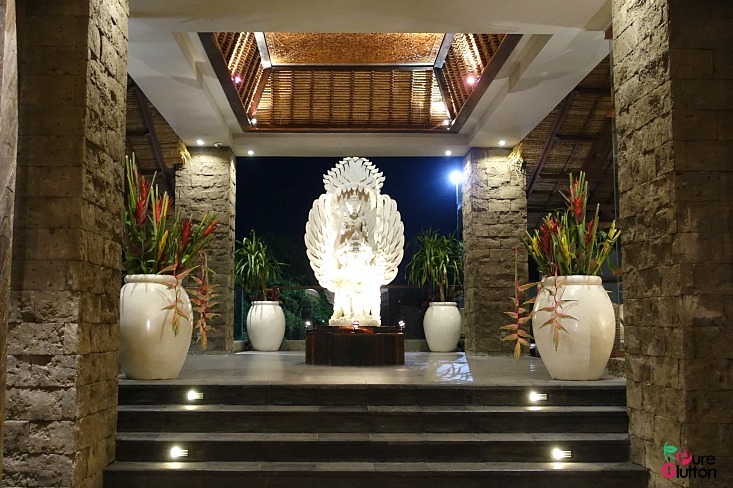 Stay tuned for my next post on Dining at the Sthala!